The Morris "Cowley", so named for the place of production, had an engine which was really a Hotchkiss design with alterations designed by W.M.. The car was surprisingly spritely and the engine was almost indestructable so it is not surprising that these little cars sold well. 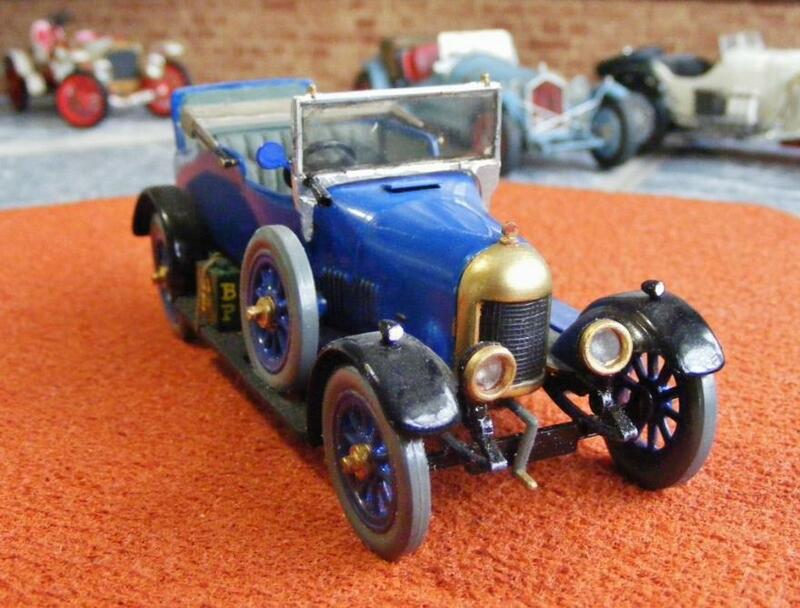 The later Oxford was merely a larger engined Cowley but the 6 cylinder "Bullnose" was the top of the range model which, thanks to it's speed and handling, would form the basis of the MG sports cars. This body style became known as a "Doctor's runabout" due to the popularity with Doctors at the time who could have an affordable motor with a certain amount of flexibility in the seating arrangements. Airfix originally released this kit in bag form in 1967, it was product #77. In 1975 a boxed reissue, kit # 02450-7 came on the market and there have been minimal re-releases of the kit making this a very collectable. Rod originally built this kit way back in the early 1960s but as the old tube glue dried out the model fell apart on the shell. Thus it was the recipient of a total overhaul in the late 1990s and looks all the better for it. However, it did cause some disagreements as Rod suggested that perhaps he should remake some of the others. 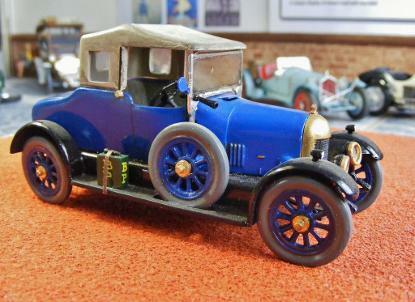 The long suffering Mrs. Knott firmly said "NO", and quite rightly pointed out, that every model is a testament to the plastic model car hobby as it was at the time of the original build. 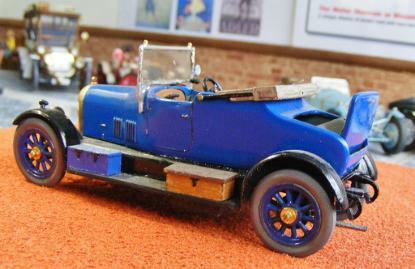 So it is that now our collection is as dedicated to the history of the hobby as it is to the cars themselves.